Charming, quaint, and priced to sell! Do not let this the size of this home fool you as it sits on a 6750 sq. ft lot! 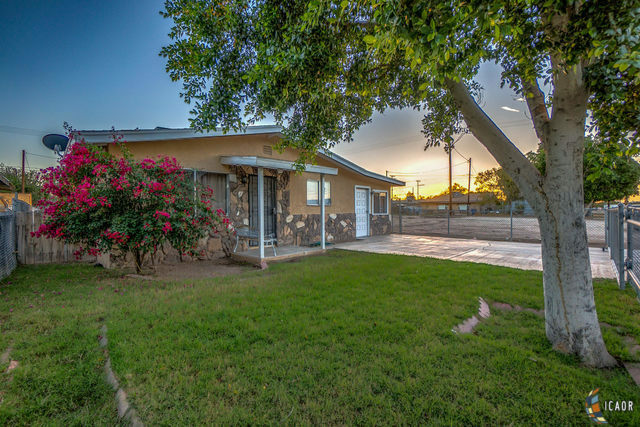 This nice fenced property offers 2 beds/1 bath, indoor laundry room, tile and carpet throughout home, and an additional permitted room with front and back door with AC that can be used as a storage room, or create a 3rd bedroom! Currently there are no neighbors to the west side of the lot which is a HUGE open space! Huge savings down the road has already been done for you... plumbing in the entire home is new! Come check this one out, at this price it won&apos;t last!